Home Android Is Android Threatened ? ? Is Android Threatened ? ? Well to start from the competitor iOS 8 , it’s the same on the surface but there are really impressive improvements underneath. iOS 8 users who must be reading now this article must be happy . I understand your feelings ! Why iOS 8 threatens Android ? ? There are a lot of cool improvements in iOS 8 under-the-hood which makes the performance better . I am tired of the lags which continue on Android Phones. So, I become happy when I see an iOS Phone or Windows phone running smoothly with no lags at all. That is a major drawback of Android ( Memory Handling Exception & Lags ). If that get’s sorted out then Android is the King out there ! Because it powers the best of the best phones selling all over the world !It’s nothing to argue about with iOS users because they know it which platform has huge market sales. 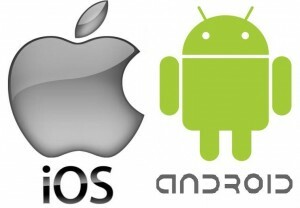 What iOS needs to concentrate on to Shakeup Android ?? Have you noticed the improvement on Android KitKat keenly ?? Apart from Camera bug fixes or other new stuffs the Android KitKat has been intelligently optimized to save battery . If an iOS powered High-End phone get’s a little competition from the little Ant MOTO G , then how can iOS 8 shake-up Android ?? So iOS needs to power the correct phone which can expoit it’s best capability . But in my personal view iOS 8 can only shakeup Android and show it’s dominance through market sales mainly. Having the best capability isn’t enough it should appeal to masses , doing so will result in iOS platforms dominance on Android ! Yes you heard it right android user’s ! iOS can shake up Android if it would improve the little but mighty things . What’s the secret of Android’s Popularity ?? Can it defend iOS platform well ?? This secret lies in you Android users ” Your Love ” ! No one can shake-up Android if something new doesn’t come out from iOS and other paltforms. Android has got itself covered because it is successful to make more and more users love it and it keeps surprising it’s users . Yes, it can defend itself because it is slowly improving the lagging issues and other issues I covered up above. For the final treat , you are going to have Lollipop soon ! 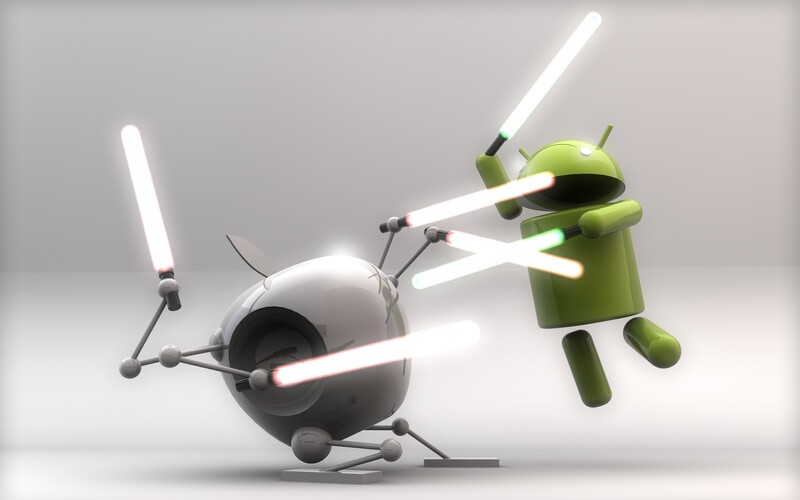 Android is defenitely going to defend very well if it improves itself in all aspects . The answer would be 50-50. The vote will be 50% Yes and 50% No.